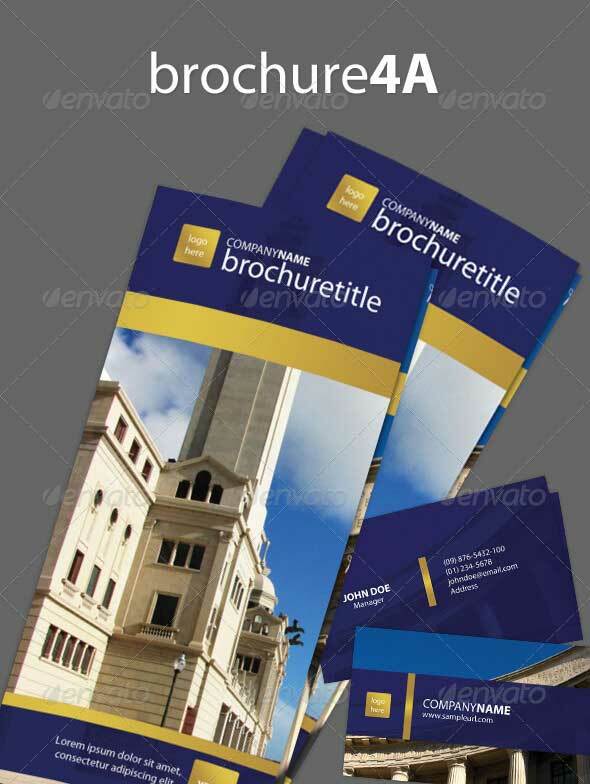 You are looking for the best Printed brochure templates? 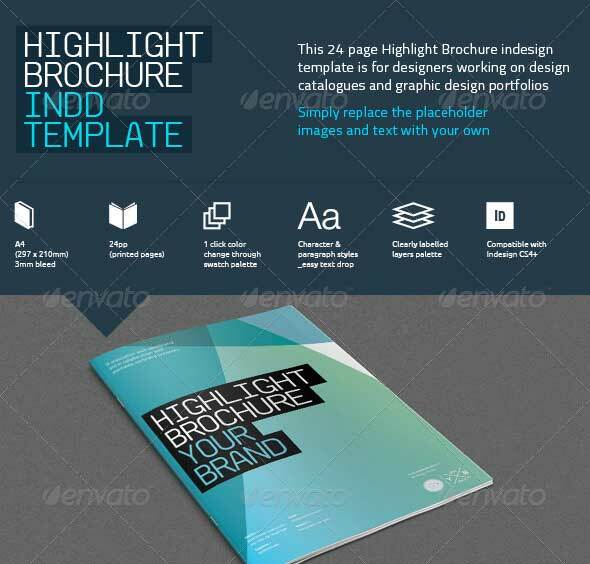 Here is one of the best brochure templates you can use in your design projects. 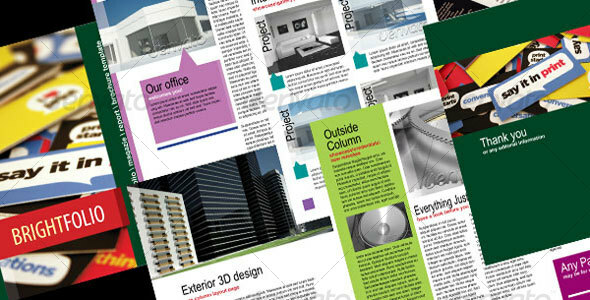 These Brochure Templates are great ideas for you to improve on your own unique Printed designs. 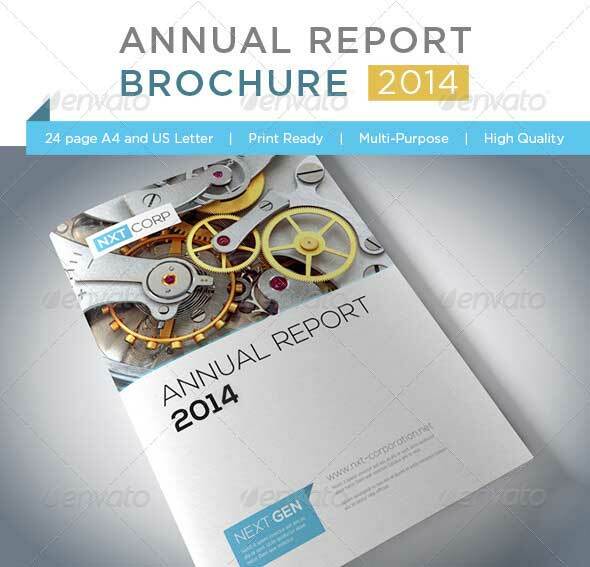 Download free brochure templates and designs! 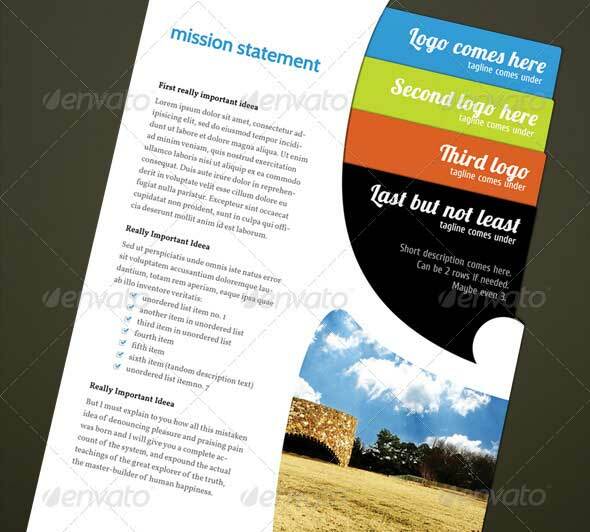 The brochure template is perfect for corporate business that needs clean, professional, modern brochure template design. Sample texts and images are easy to replace with just a few clicks of mouse. 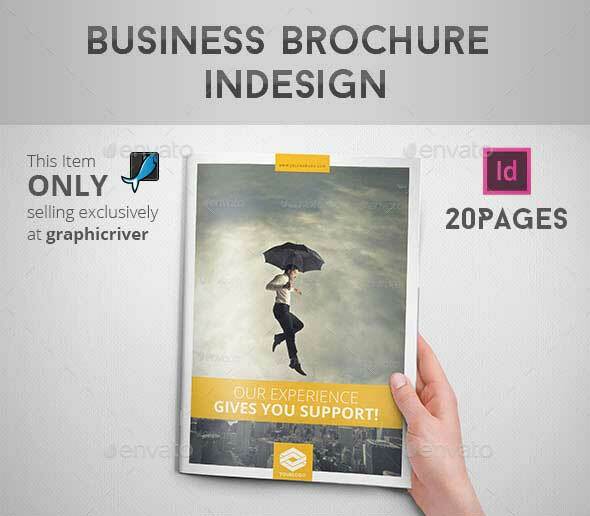 This brochure can serve multiple purposes. 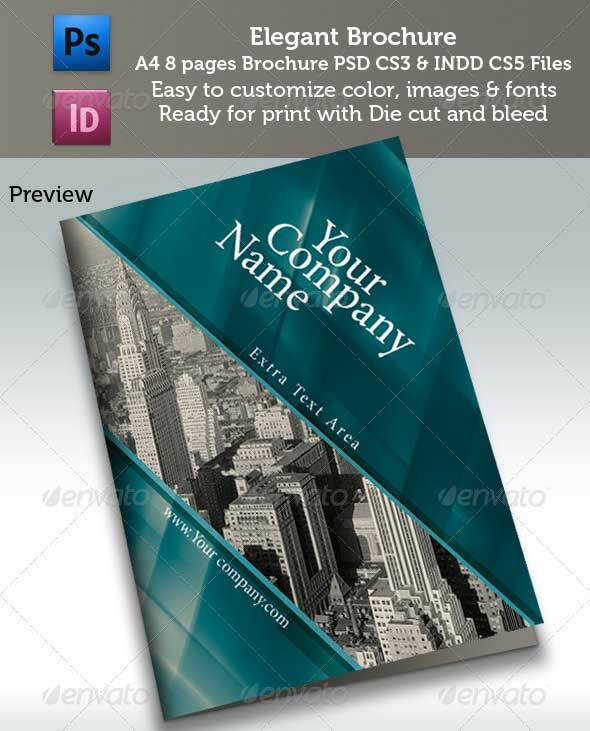 It works great as a corporate identity brochure – for presenting your business, services, newest cases and more. 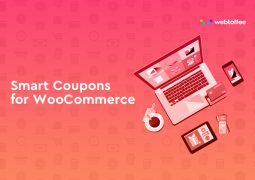 Or use it to present a specific product. Or something completely different. 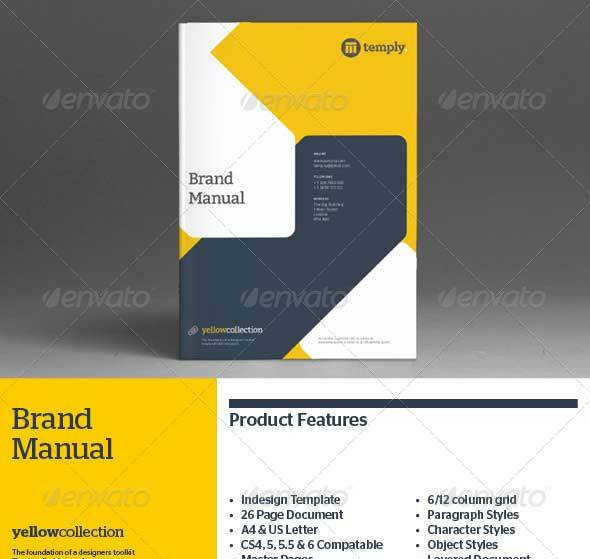 Brand Manual (also commonly referred to as ‘brand standards’, ‘style guide’ or ‘brand book’) are essentially a set of rules that explain how your brand works. 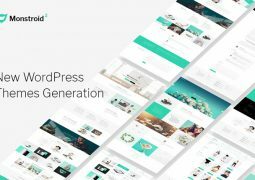 This informative guide helps both designers and client implement their brand across a range of media. 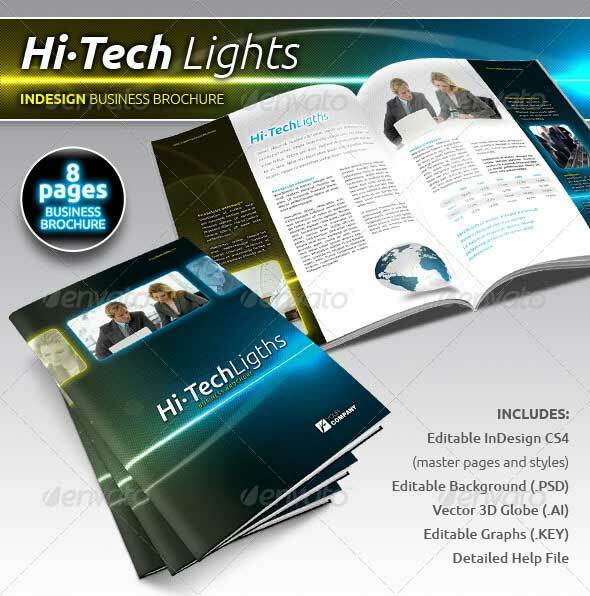 This product catalog is a light adaptation of Ultimate Magazine and includes product galleries and layouts only. If you need more layouts please see original item, Ultimate Magazine 24 layouts, which also includes many text layouts. 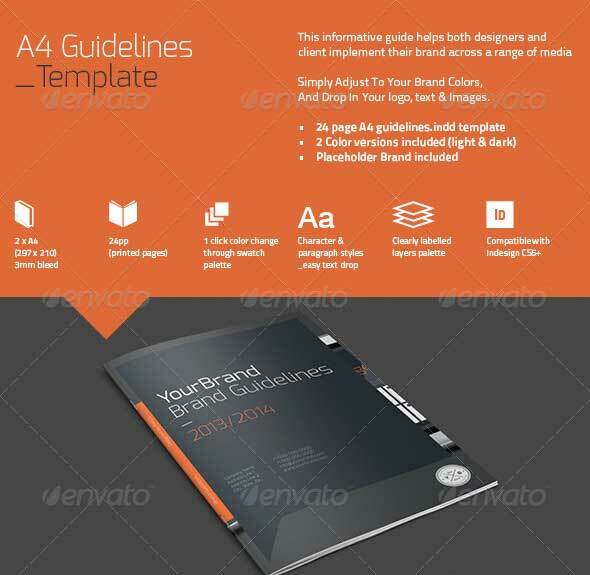 This catalog template includes 6 product layouts you can use to showcase your products. 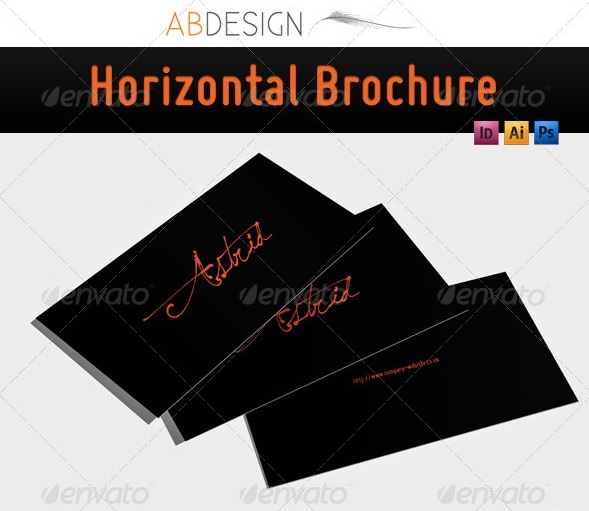 The template is A4 size but you can easily modify the template to fit letter size. 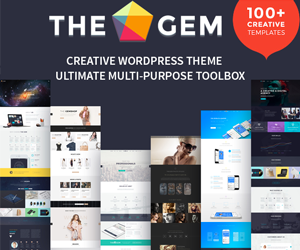 The style is elegant and modern so you can use this template for any type of products: electronics, clothing, books, DVDs, software, and more. 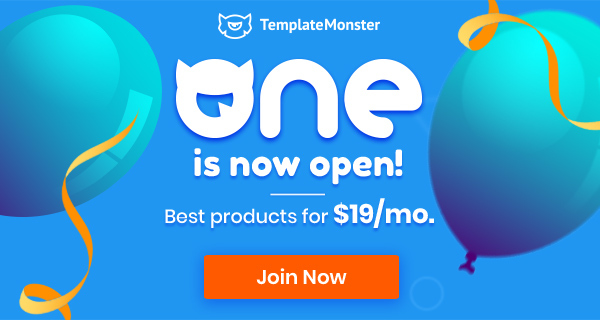 Of course, this template can easily serve multiple purposes. 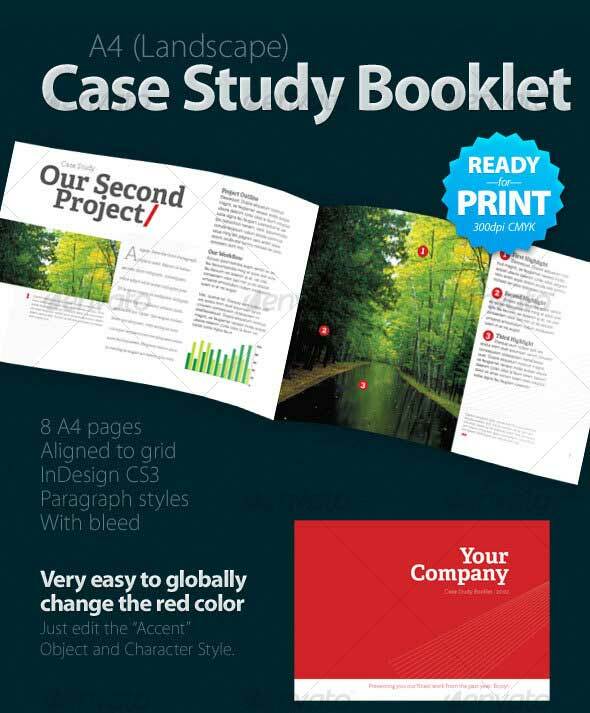 You could turn it into a brochure, newsletter, annual report, printed portfolio or other editorial design. 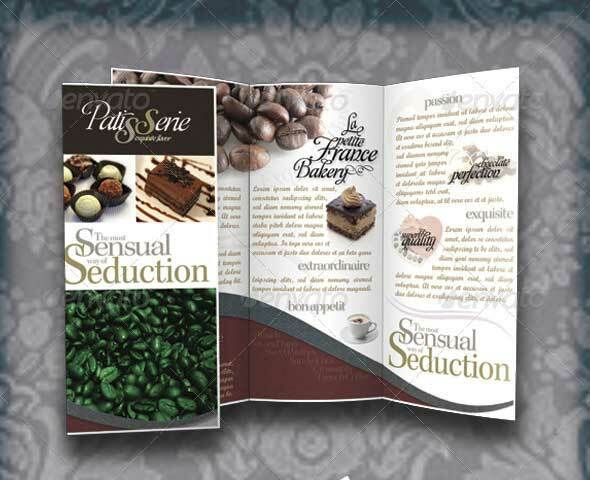 Unique booklet design used for product catalogue, brochure, newsletter. 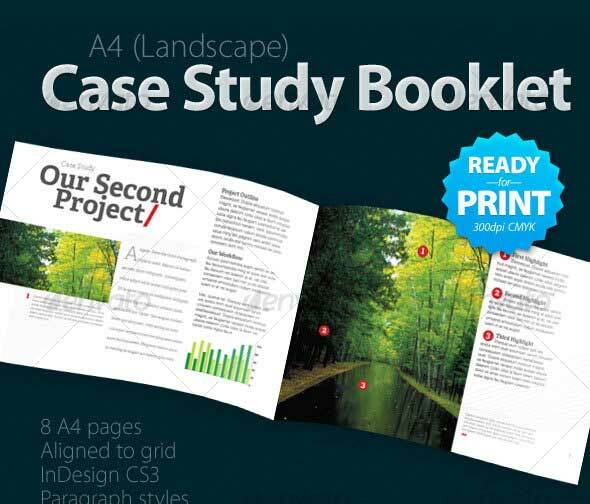 Multifunctional design suited for almost all forms of print. 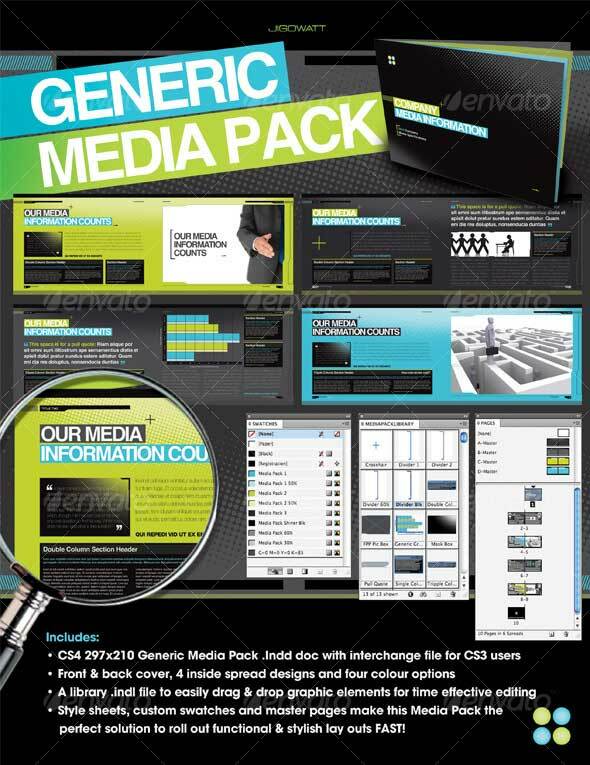 This Generic Media Pack is the perfect way to shout about your business. 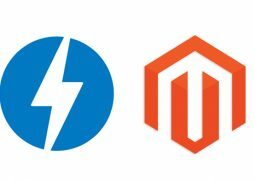 It has been constructed for maximum impact and with time effectiveness in mind. 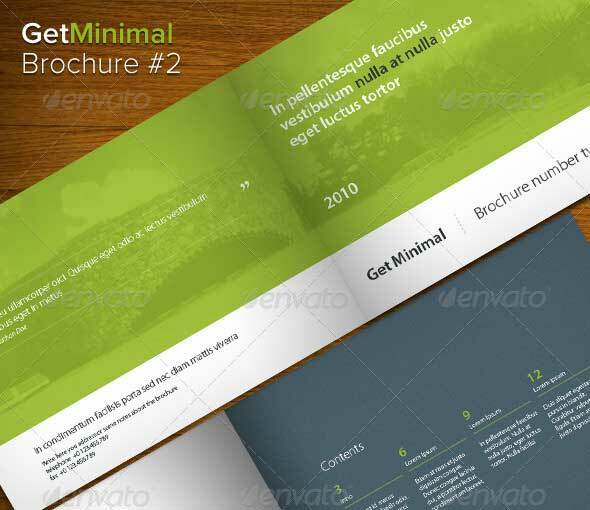 The template pack contains 2 PSD files and 2 sample JPEG files for your preview purpose. 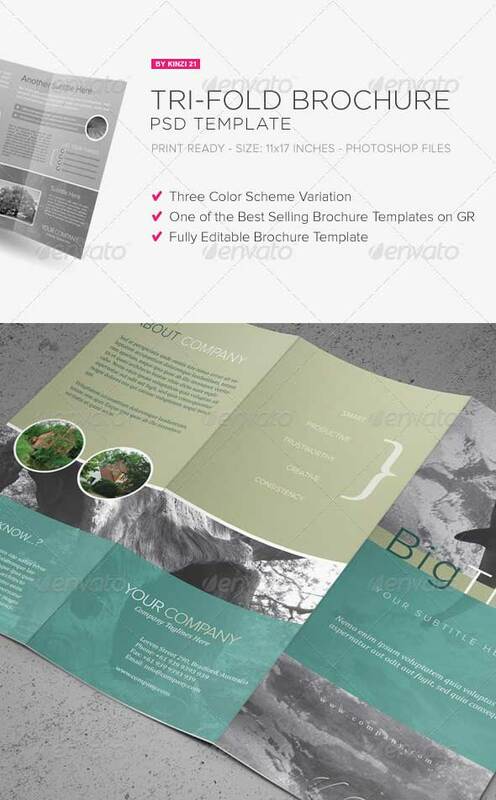 The half-fold brochure template is perfect for business/corporate industry that needs clean, modern and professional brochure design. 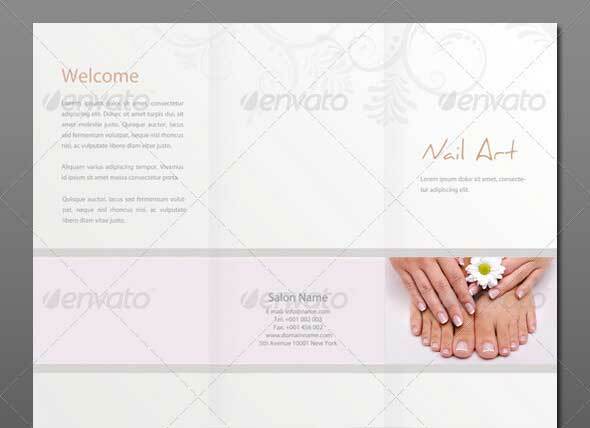 Design elements are fully layered and organized in layer folders. 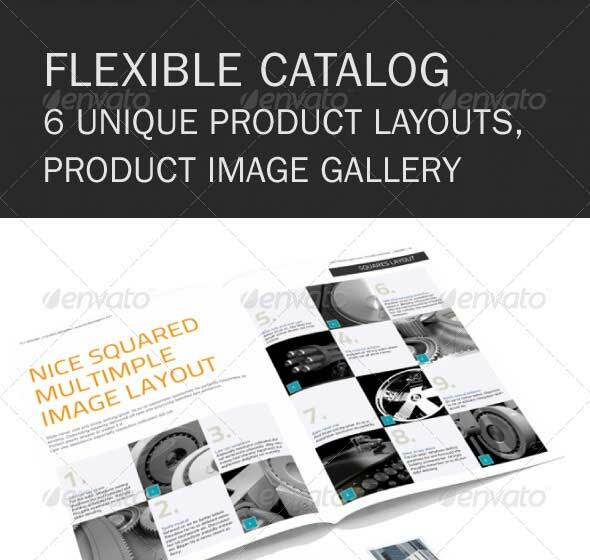 Unique design used for product catalogue, brochure, newsletter. 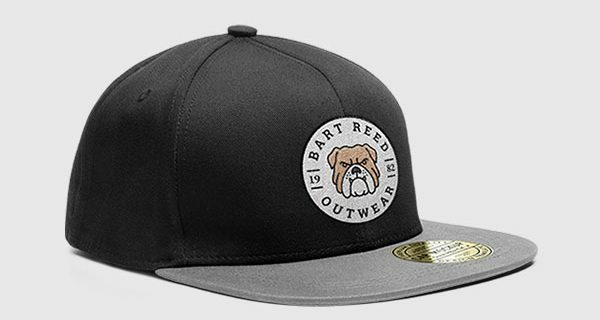 Multifunctional design suited for almost all forms of print. 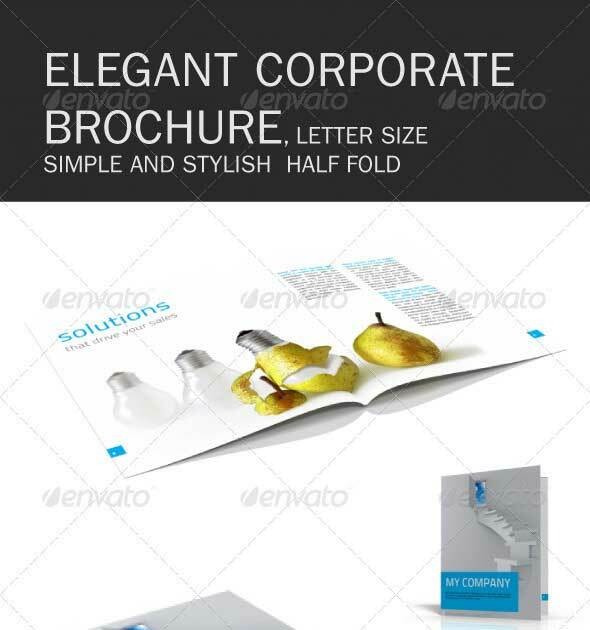 Simple and elegant corporate half fold brochure template – paragraph styles, character styles, swatches, bleed, – everything for easy editing and easy printing. 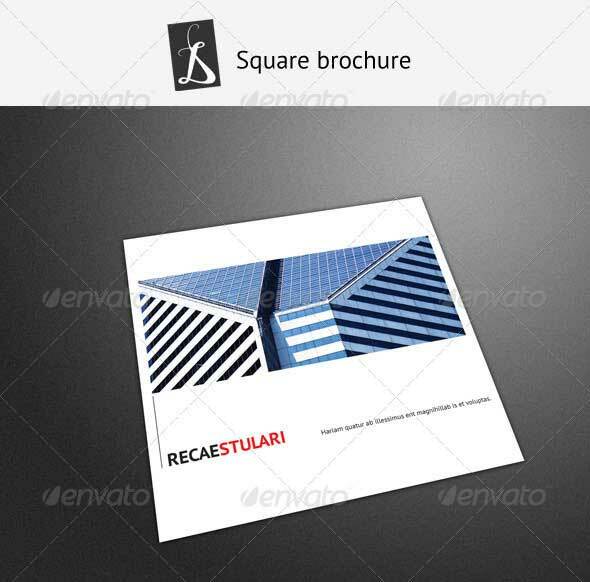 This template can be easily adapted for any company that needs nice and simple corporate brochure – just add your text. 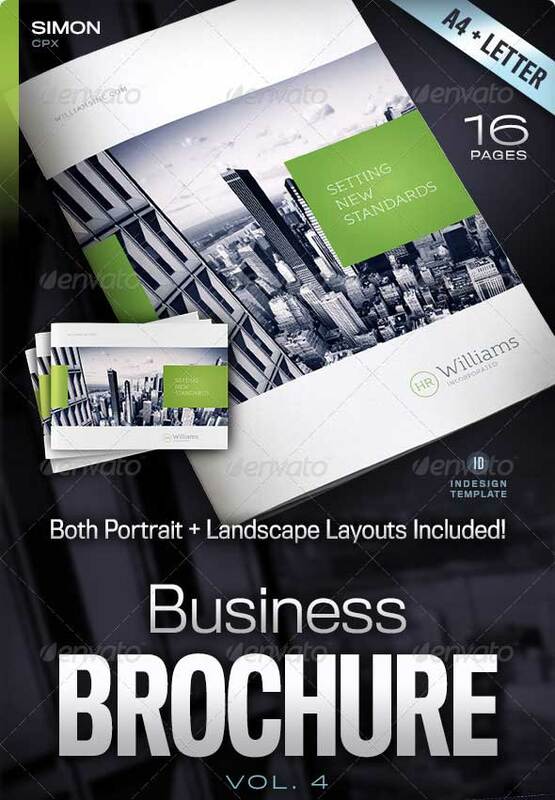 This is a Professional Designed Business Brochure, in an 8 page A4 format (210×297 mm – 8.27×11.69 in). 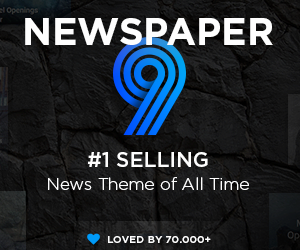 This is ideal for corporate promotion of a business. 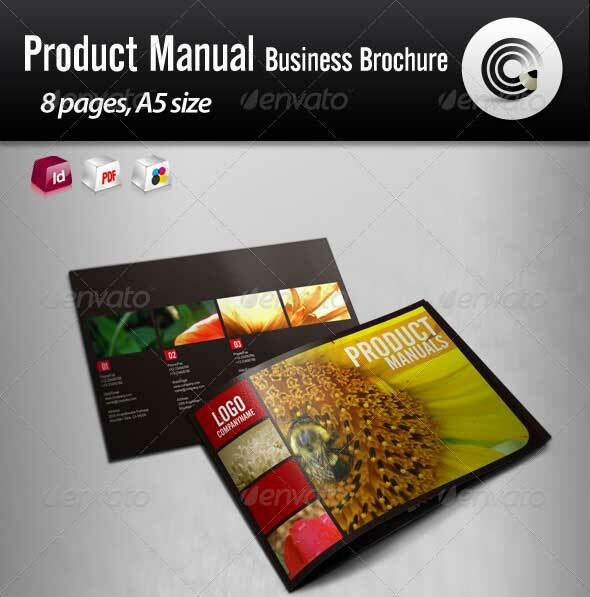 Using the masters you can add as much pages as you like and build a brochure to your needs. It’s time to get minimal! 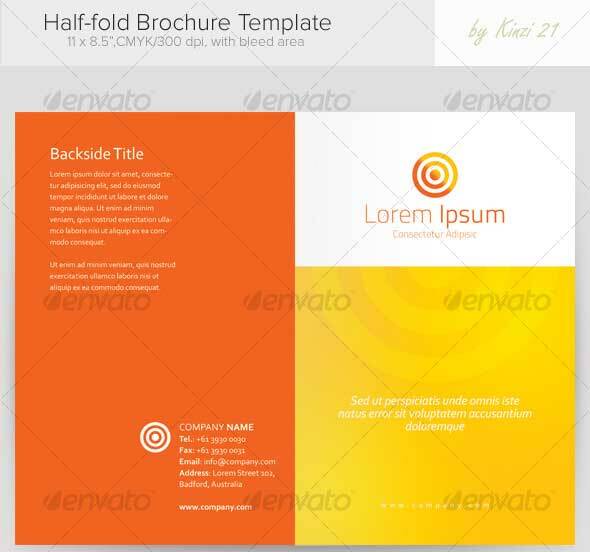 Completely editable INDD document, you can change colors, positions and typefaces. 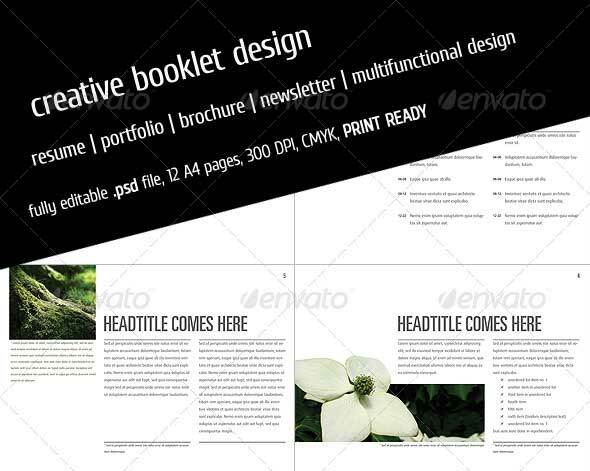 This template pack contains 2 Photoshop files (Inside and Outside spreads of the brochure), Vector Smart Obiects (already embedded in the psd-files – you can easily edit them in a vector program like Illustrator or use “as is”) and a readme file. 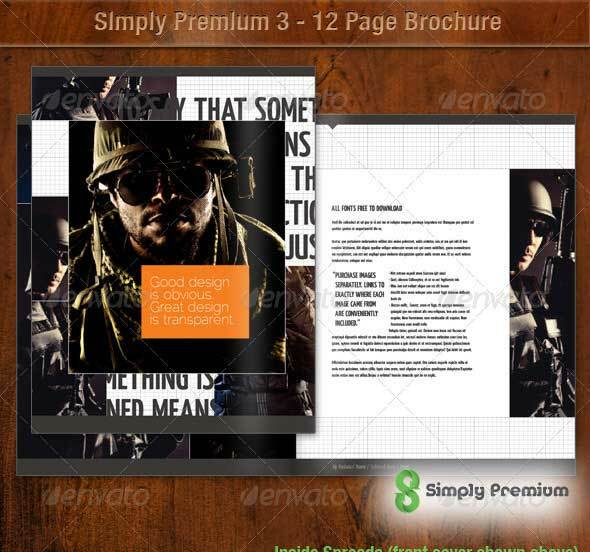 8 Pages Modern Booklet or Brochure. 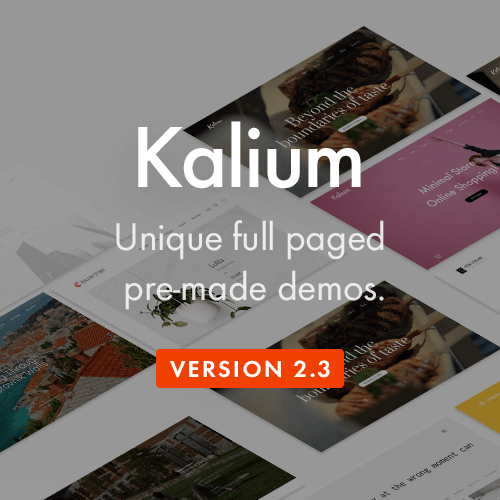 Easy to customize color, images & fonts. Ready for print with Die cut and bleed. CMYK 300 DPI 3MM BLEED . Photos in the Preview are NOT included. Photos are in Smart Object Layers easy to put your own photos. 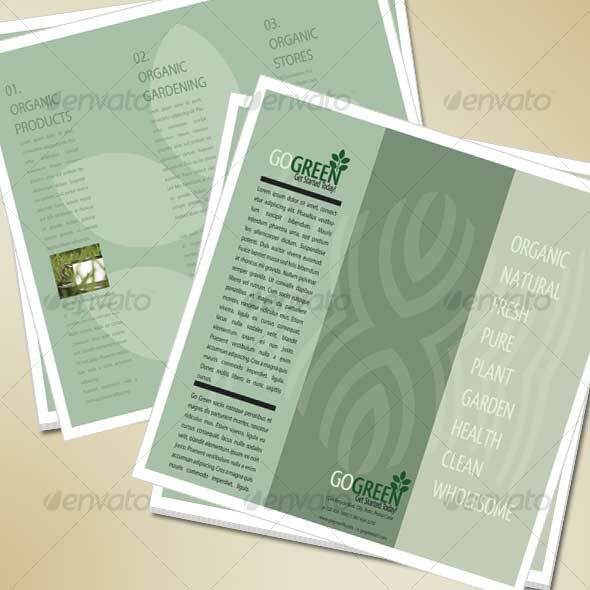 A beautiful organic brochure promoting all things green. This design is created in Adobe Photoshop CS3 . 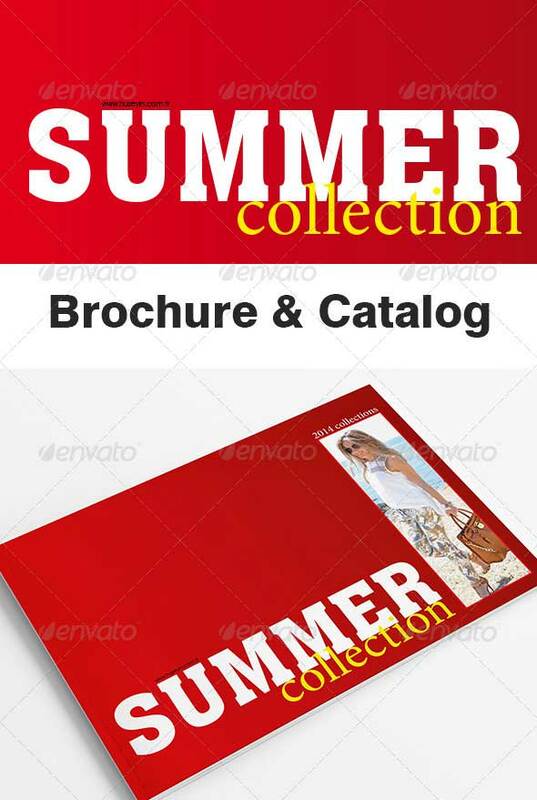 All layers are editable and organized by groups.The file resolution is 300 dpi/CMYK and the file size is 3300×2550 or 11×8.5. 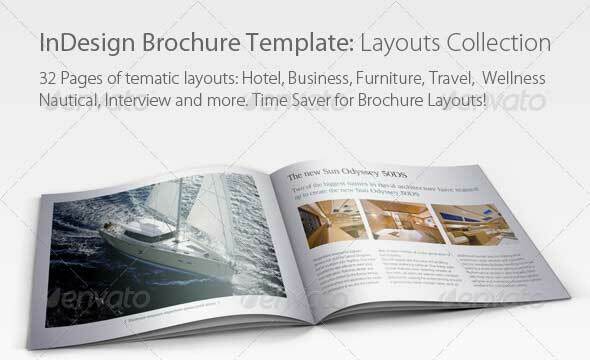 Indesign Template Brochure Layouts for different needs: Business, Hotel, Wellness, Travel, Interview, Nautical, Product Catalog (Furniture) and more. 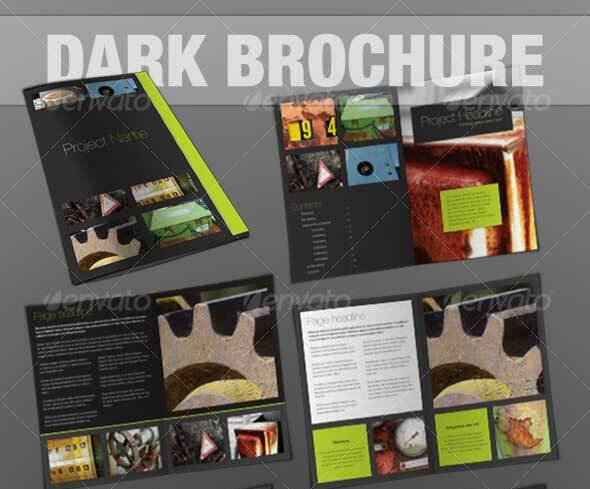 However, you can use Layouts Collection as a starting point for You new brochure works. Every next issue will bring more layouts.